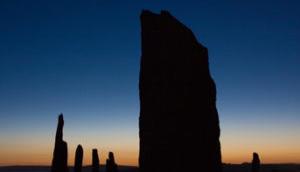 The Applied Shamanism Training Program teaches students how to bring the power of shamanic practice into the modern setting with respect and integrity. Read more. 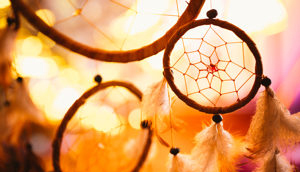 The graduates of the Applied Shamanism Training Program offer their skills to the larger community through the Space Clearing Society, the Circles for the Earth, Healing Circles, and Healing Clinics. Quarterly Drum Circles are held at the Sacred Stream Center to help educate the wider community about the power of Applied Shamanic Practice. Read more. 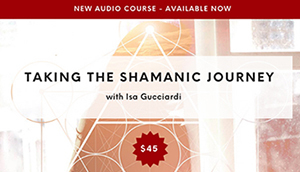 Here, Isa Gucciardi teaches how Applied Shamanism can be used in our contemporary lifestyle for wisdom, guidance, and clarity. You’ll learn about the realms of wisdom that can be tapped into through your mind, and how to safely and successfully call upon this wisdom in your life to guide your decision making. Available now via Sacred Stream.